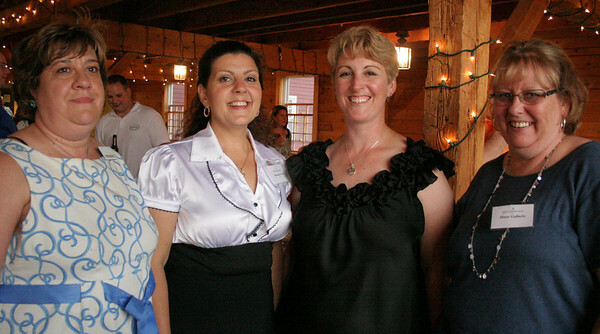 Peabody: Mary Lou Dasilva, far left, Rosemary Frost, Karen Corning and Diane Gallucio stand in Smith Barn's doorway at Brooksby Farm. The Peabody Area Chamber of Commerce held an "Antiques Roadshow" event on Wednesday where attendees could bring a family heirloom or antique to be appraised. Photo by Mary Catherine Adams/Salem News.